We are thrilled to announce the 2016 Summer Program Workshops! Explore our new catalog with nearly 90 exhilarating week-long workshops in creative writing and visual arts. Browse by week, discipline, or faculty. The wealth of exciting workshops taught by our extraordinary faculty, both new and returning, includes poetry, fiction, memoir, essays, graphic novel, songwriting, screenwriting, young adult fiction, painting, drawing, printmaking, sculpture, photography, multi-media, performance art, and filmmaking/video. Additionally, we are delighted to announce our new poetry intensive week, Celebration of Poetic Voices, and our new Master Printer Series held in the Michael Mazur Print Studio. We are also pleased to offer dynamic new programming through partnerships with the Provincetown International Film Festival and Camp Lightbulb. 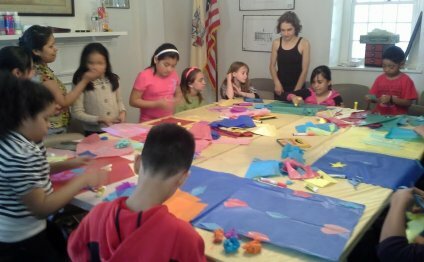 All summer workshops are held on the campus of the Fine Arts Work Center, located in the heart of Provincetown on the tip of Cape Cod surrounded by 40 miles of pristine national seashore and offering outdoor activities such as whale watching, sailing, kayaking, dune tours, biking and swimming. The Work Center campus will be electric with nightly readings and talks by our renowned faculty. With 24-hour studio access, you’ll be free to create any time you like. Enjoy daily breakfasts in the lounge, mid-week BBQ, Friday gallery strolls, receptions, and the beloved Student Open Studios and Readings. As the nation’s oldest continuous artist colony, Provincetown’s streets are lined with art galleries, museums, music venues and performing arts spaces providing an array of cultural happenings.